#2 Damon Huston of Midland is the top seed at the lightest weight in class 1A. His lone loss this year is to the guy sitting at the bottom of the top half in #3 Jaymus Wilson of Alburnett. Although his Huston’s lone loss, Huston has won the two most recent meetings. Huston failed to qualify for state his freshman season due to being in a tough district. Wilson is looking to make a return trip to the state finals. His first big test will come in the quarters against talented freshman #4 Marcel Lopez of New London. Wilson and Lopez met in early January where Jaymus came out on top 4-3. #6 Kael Brisker of Wilton and #10 Joe Ebaugh of Denver will meet first round. Denver will be looking to get a few points out of Ebaugh to help them in the team race and that match would get the ball rolling for them. Most people will be able to get their first look at #1 Stevie Barnes of Underwood this weekend. I’d recommend you take some advice from Wilfrod Brimley and check him out early and check him out often. 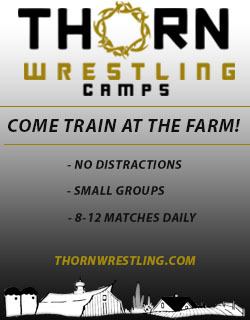 Barnes has only two losses on the season and they came to the #1 and #2 ranked wrestlers a weight class up in 1A. #7 Clayton McDonough of Central Springs and #9 Jace Rose of Oakland Riverside will meet first round. The winner of those two will have the inside track at making the semis. Another guy to keep an eye on is Cade Siebrecht of Lisbon because you know any Siebrecht from Lisbon will be a tough out. #2 Beau Klingensmith of Woodbury Central is your top seed at 113 despite having a 2-1 loss to #1 Hagen Heistand of Logan-Magnolia on January 15th. This is our first example of a highly ranked guy not getting a good seed. Fortunately for this weight at least, they are on separate sides of the bracket. Klingensmith will have #9 Quincy Happel of Lisbon is the quarters who he pinned earlier this year or #7 Colton Meeker of Wapello. The second quarter in this bracket features two returning placewinners from last year. #4 Mason Dye of Sigourney was 4th and #6 Bryce Shaha of Mount Ayr was 6th at 106. Dye won their match in the consolation semis 10-6. Your #1 ranked wrestler is in the bottom half of the bracket in Heistand. He will likely have a quality opponent in the quarters in #3 Jakob Whitinger of Nashua-Plainfield. Whitinger was your 4th place finisher at 113 last season. #8 Brooks Meyer of Denver comes in as the #2 seed after knocking off Whitinger at districts 16-11. Meyer finished 5th at 106 last year. The other heavy hitter in the bottom half is #5 Aidan Noonan of Cascade. Noonan is undefeated on the season, but has yet to face anyone inside the top 10 in 1A other than Happel who he beat 1-0 early in the season. The top seed at 120 has been rightfully earned by junior and #1 ranked Adam Allard of West Sioux. All Allard has done in his high school career is go eight for his first eight in state tournament matches. He has pinslayed or teched all but 1 of his Iowa opponents hes wrestled this season and is undefeated. The 2nd quarter at this weight is likely the most balanced with #4 Jacob Moore of Denver likely getting the winner of #5 Trey Lashbrook of AGWSR and #9 Westin Allen of Underwood. Moore and Lashbrook faced off twice at last years state tournament with more winning by 5 in their first round match and winning again 7-4 in the 7th place match. Lashbrook owns the most recent victory though in the district finals where he topped more 7-5. Allen is yet another one of Underwood’s talented freshmen. It’s not often you get two returning state champs in one bracket, but we have it here. #2 seed and ranked Daniel Kimball of Don Bosco is the only ranked wrestler in his quarter. #3 Casey Baker of Interstate 35 and #6 Cauy Fitch of Colfax-Mingo are the other two ranked wrestlers on the bottom half. Baker was the 4th place finisher at 120lbs last year while Fitch went 1-2 and just missed out on placing. This bracket was redrawn on Tuesday after the ISHAA discovered some issues with the seeding. The top quarter has three ranked wrestlers led by #3 Briar Reisz of Logan Magnolia who is your top seed after finishing a runner-up at last years state tournament. He will face the winner of #9 Michael McClelland of Don Bosco and #8 Bryce Trees of North Butler-Clarksville in the quarters. The next quarter will likely have #10 Tyler Helgeson of Lake Mills taking on the #2 ranked wrestler in Cole Cassady of Martensdale-St. Mary’s. Helgeson was a semifinalist last year before taking home 6th. #1 Robert Avila of Lisbon has been on a tear all year knocking off highly ranked wrestlers in all classes. His only loss on the year came to a nationally ranked out of state wrestler. His quarterfinal opponent with be either #7 Trey Schuck of Sibley-Ocheyedan or previously ranked Carter Pals of Central Springs. #5 Trae Ehlen of Mount Ayr will face #6 Isaac Schimmels of Denver in a big first round bout for Denver’s team title chances. Returning state finalist #4 Daniel Meeker of Wapello is the 2 seed and should see the winner in the quarters. #2, #4, #5, and #9 are all spaced out away from either other at least for the first round on the bottom half. All 4 are returning placewinners from last year. #2 Gabe Lewis of Denver was 3rd at 132. He defeated #5 Logan James of Underwood 3-1, James ended up 7th. #4 Jacob McBride was 3rd at 126 edging Larson in the 3rd place match by 1. #9 Nolan Noonan of Cascade ended up 6th. A few guys could end up lower on the podium than last year at this weight and not even have a bad tournament because this weight is so deep. Here is a hot take, #1 Cobe Siebrecht of Lisbon might be the best wrestler in class 1A. He also would have to be far off his game to be the 3rd best wrestler on his own team on a given day. He could see #8 Nate Monahan of Woodbury Central in the quarters. #4 and #5 will face off in the other quarter to see who gets a shot at Siebrecht. Those two are #4 Cael Frost of Don Bosco and #5 Teagan Lundquist of Southwest Valley. Both are returning placewinners from last year with Frost finishing 5th and Lundquist taking home 7th at 120 and 126 respectively. The funnest first round match at this weight should be between #7 Grant Hoeger of Beckman and #10 Carson Lynott of West Sioux. Hoeger has some big time wins this season, but keep your eye on the freshman from West Sioux. Usually getting the #2 seed gives you a fairly easy road to the finals, but unfortunately for #2 ranked Riley Wright of Denver, thats not the case. He will likely meet up with freshmen phenom #3 Nick Hamilton of Underwood in the 2nd round. Hamilton might be the top freshman in 1a or at least we will find out this weekend. Wright is trying to make it 4 for 4 in placing at the state tournament. Hes never finished below 5th and even that time he was battling an injury. All 10 ranked wrestlers qualified for state at this weight. This weight is actually pretty balanced with the top 5 ranked wrestlers being separated as much as possible. #1 Wade Mitchell of Woodbury gets the top seed after a runner up finish last season losing 3-2 to Siebrecht. 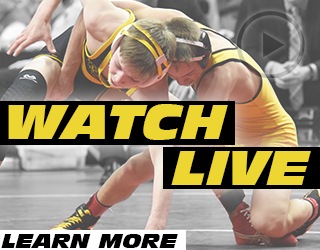 The winner of #6 Mark Dawson of Eagle Grove and #8 Ryne Mohrfeld of Lisbon will likely face Mitchell in the quarters. Lisbon will need Mohrfeld to return to the podium where he was two years ago placing 6th before falling 1 match short last season. #4 Michael Egan of MFL, Mar Mac is the highest ranked and top returner in the 2nd quarter at 145 after finishing 6th last year. #7 Wyatt Appleseth of Panorama also placed last year though coming in at 8th. Don’t count out #5 Duke Kyle of Missouri Valley though. #3 Spencer Griffen of Emmetsburg and #2 Blake Thomsen of Underwood are the top ranked wrestlers in the bottom of the bracket. Griffen finished 4th with a 6-4 win over Egan last year. Thomsen is one to keep and eye on here. He hasn’t lost to a single Iowan this year or really even been tested, but he’s coming all the way up from 120lbs last season where he finished 3rd. Can he challenge Mitchell, a guy who was 25 pounds heavier than him last season? Everything so far has indicated he absolutely can. Three wrestlers who have made a state final look to be some of the top contenders at this weight. #1 Brady Henderson of North Linn will look to build on his runner up finish last season. 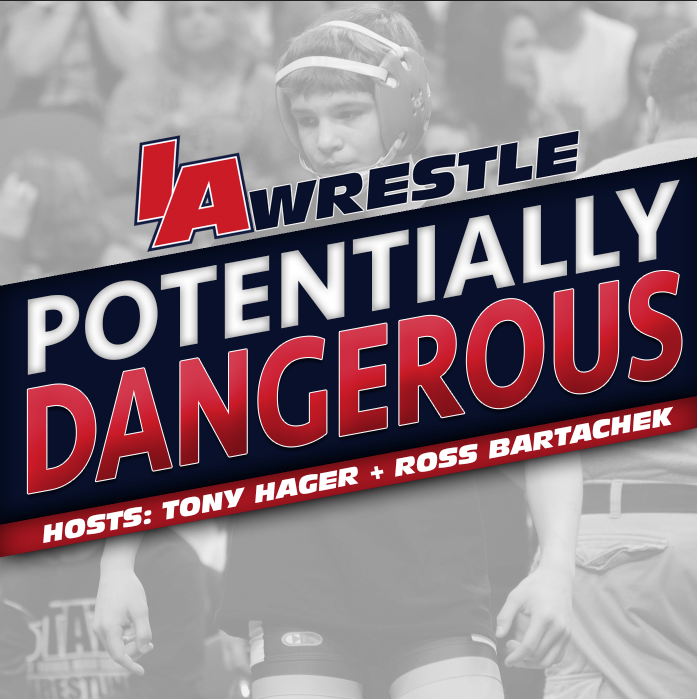 To get to that point he will have to go through #5 Ethan Elliot of Interstate 35 or #8 Ben Smith of Iowa Valley, both of which are returning state placewinners. He will also have a ranked wrestler in the quarters in either #9 or #10. Five ranked wrestlers make up a very tough bottom side at this weight. One time state champ and returning runner up Kaleb Krall of Wapsie Valley is the 2 seed. He has been out most of the season with an injury but is giving it one last go round in his high school career. He could face either #7 Connor Lange of Missouri Valley who was once a state placewinner or #6 Cade Tenold who is a freshmen and has given Henderson and Krall two of their tightest matches on the season. #3 Kory Van Ooort of West Sioux was a state runner up two years ago and will look to boost West Sioux’s team trophy chances with a strong showing. #4 Garrett Arment of Woodbury Central might have something to say about that in the quarters though. The top side is the place to be in this bracket with only two ranked wrestlers. #1 John Henrich of Akron-Westfield is the top seed and #6 Elijah Wagner of Lake Mills got the #4 seed. The only problem with being topside is you are stuck with Henrich who has basically dominated the competition the last two seasons since coming over from South Dakota after his freshman season. Henrich is a two-time state champ and looking to add his third. 132 was one of the deepest weights, and 170 is one of the most wide open. This is especially true the farther down the rankings you go. There has been lots of turn over from guys who have had a few good weeks then took losses that dropped them out. #1 Cael Krueger of Denver is the top returner here placing 4th last year. He has been pushed a bit by #2 seed Ethan Fulcher of Hudson. Krueger beat Fulcher 3-0 there last meeting, but it is interesting that Krueger teched him earlier in the season. If Denver can get big points from Krueger it could propel them over the top in the team race. Krueger will have #5 Tristan Mulder of Western Christian first round. #7 Nick Haynes of Missouri Valley and #8 Garret Bruce of East Sac of the other two in the second quarter of 170. Haynes was a state placewinner two years ago. #2 Ethan Fulcher of Hudson is probably the favorite to reach the finals from the bottom side. He will face a ranked wrestler every step of the way though. First round he has a very dangerous #10 Mason Wickman of Alburnett. Then it just gets harder from there moving on to #6 Tate Hagen of West Hancock. The other semifinalist will come out of the #4 Rahnavardi of Don Bosco and #3 Cacek of Graettinger. Whats interesting with that 3/4 matchup is neither wrestler qualified for state last season, but have shown this season that they can not be taken lightly. A few weeks ago I would have said #1 and returning champ Gabe Pauley of AHSTW is a big favorite to win this weight. A few losses later including one to a wrestler on his side of the bracket. #7 Colby Page of SE Warren knocked of Pauley at districts, but Page will have a tough quarterfinal match with returning placewinner #5 Carter Murray of Graettinger who was 8th a year ago. #2 Thomas Even of Don Bosco is the favorite on the bottom side after pinned the #3 ranked wrestler Tucker Kroeze of Belmond-Klemme earlier this season. If Pauley and Even meet in the finals, someone will likely go flying. That or they will just decide to have a bench press competition to decide the state champ. #1 Zach Ryg of Central Springs is the heavy favorite to make the finals from the top half. The highest ranked wrestler he could have before the finals is #6 Ethan Allie of Belle Plaine. Allie was a qualifier last season but went 0-2. Allie himself has a tough road facing off against #10 Tyler Thurston of North Cedar in the first round who Allie has beat 7-3 back in December. The winner of that match will likely face #7 Logan Koedam of West Sioux in the quarterfinals. #2 Owen Grover of Dyersville Beckman has been dominating 1A competition since Beckman has dropped down a class this season. Grover was a semifinalist last season in 2A before losing a 10-6 match to Julien Broderson of Davenport Assumption who might just be the best wrestler in Iowa this season. Grover will be the favorite to reach the finals but he will need to go through #3 Chase McCleisch of Newman to get there. 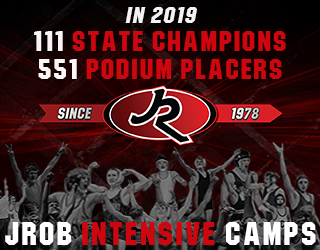 McCleisch is a 6th place finisher from last season and has wrestled Ryg 4 times this year with 1 being close, but ultimately Ryg winning them all so far. Garet Sims of Iowa Valley is the one seed at 220lbs, and for good reason. He came just two points short of a state title last year to a guy who’s starting at Iowa State right now as a true freshman. Sims has only gone the distance 3 times this year in his 48 matches. #4 ranked Brett Schoenherr of Midland is a returning state qualifier and might have even placed last year if he didn’t have to face the 2nd and 3rd place finishers so early in the tournament. Schoenherr will likely have #5 Dylan Obermeier of Audubon in the quarters who is 50-0 on the season. He only owns one ranked win though and it was over #7 who failed to qualify. #2 ranked Nick Gaes of Alta-Aurelia will be looking to improve on his 5th place finish from a season ago. He is the only returning medalist on the bottom side. Rankings wise his biggest test will come from #3 Garrett Keehner of MFL, Mar Mac. Keehner joins Sims, Gaes, and Obermeier as wrestlers who all are entering the state tournament with an undefeated record. Four will enter undefeated, but only one can go home unblemished. This weight has been absolutely insane to rank all season. Just when you thought you had a clear cut #1 in Korby Keehner of MFL, Mar Mac, he gets injured and is forced to cut his senior season short. Lots of higher ranked guys losing to lower ranked guys, then when those lower ranked guys move up they lose too. So basically what I’m saying is 285 is wide open. #4 Taylor Fox of East Buchanan has emerged recently as one of the dark horses to make a run at this weight. His only losses this year have come from Keehner. #6 Brock Farley of Denver is the top returning place winner from last year taking home. He actually beat Olson and #5 Matthew Kaufman of Pleasantville, but has been pinned a few times the last few weeks to lower his ranking. One big match up first round with team title implications is Farley up against #9 Noah Pittman of Don Bosco. The winner of that match might have the inside shot at reaching the finals, but this is 285 where all the matches are razor thin and anything can happen. February 12, 2019 in 1A, 2019 State Tournament Coverage.